Enamel Mug: holds a pint of tea. Sustainable and reusable alternative to single use plastic. Classic/Retro White and Navy Large enamel mug printed with the Seabirds Logo. Great for camping, picnics or at the beach. Long-lasting. Holds a whole pint of tea! Timeless and enduring, created by fusing porcelein onto heavy-gauge steel, making it highly durable. The colours stay brilliant and it cannot burn, so its ideal for travellers and campers heating their brews and soups on the go! Beat plastic pollution of the sea and avoid single use plastics with this sustainable and durable alternative. 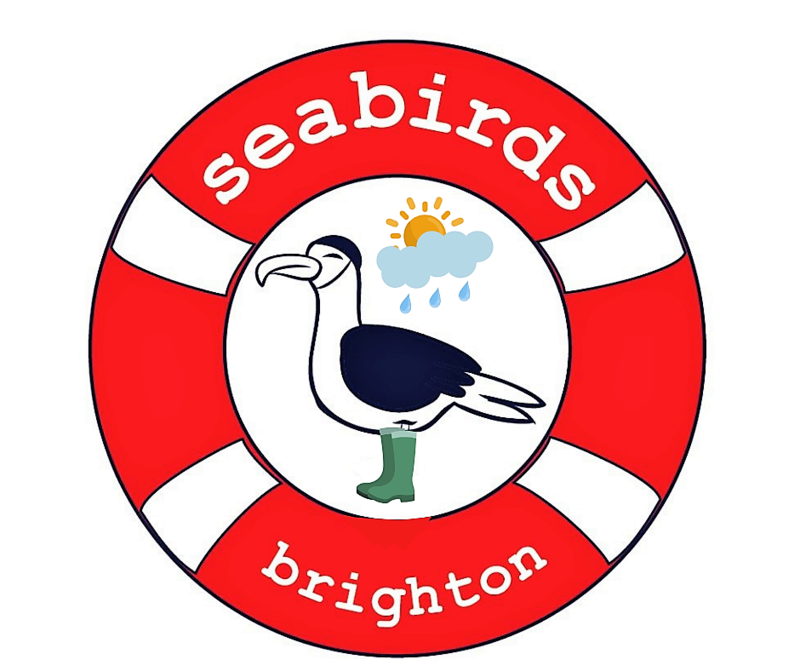 Seabirds' Brighton based social enterprise supports a local charity that focuses on well being by getting people into the sea to feel better. Salted well being through sea swimming! The cup is a brilliant size and lovely design. I am very happy with it. Thanks you.